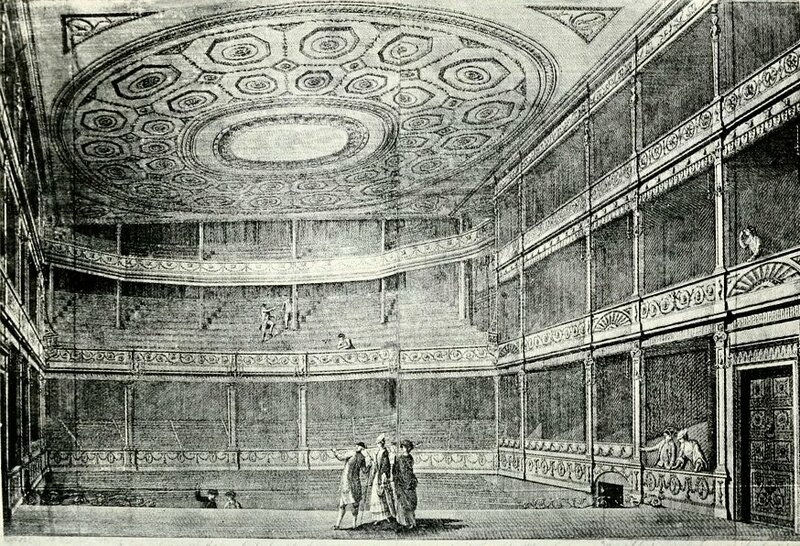 The Theatre Royal, Drury Lane, was one of the two theatres with a patent to perform plays in Georgian London. 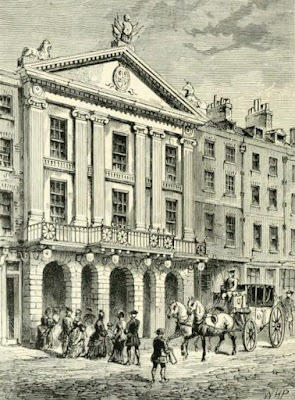 The other was the Theatre Royal, Covent Garden. The Haymarket Theatre could also put on plays, but only during the summer. 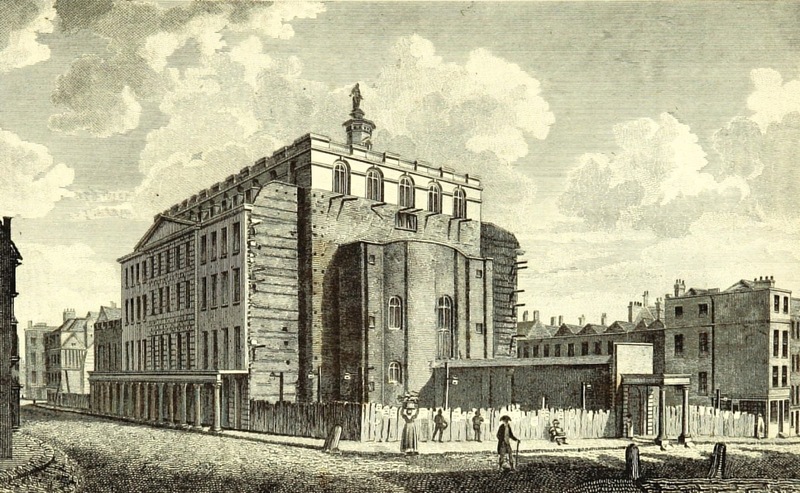 The first theatre on the Drury Lane site opened in 1663. 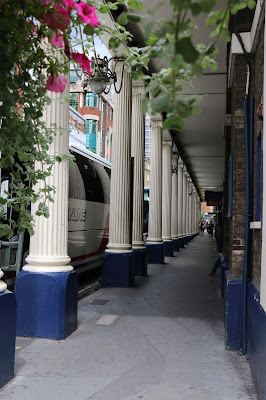 It was built by Thomas Killigrew on an area known as the Riding Yard but seems to have had no particular name at this time, being variously referred to as the King’s Theatre or the King’s House or, confusingly, the Covent Garden Theatre, as it was in the neighbourhood of Covent Garden. It burnt down in 1672. Killigrew rebuilt the theatre on the same site and it opened in 1674 as the Theatre Royal in Drury Lane. 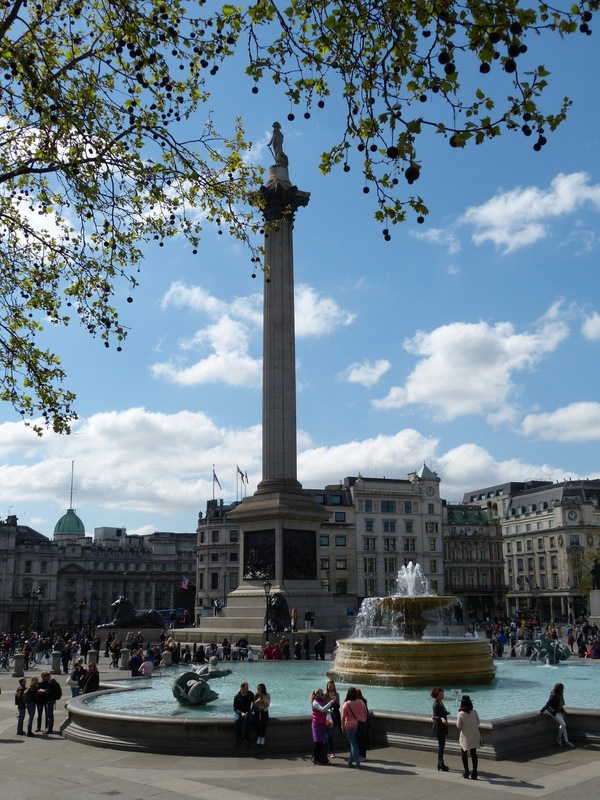 According to Old and New London, this new theatre was designed by Sir Christopher Wren, but this claim was based on slim evidence and is now thought to be unlikely. 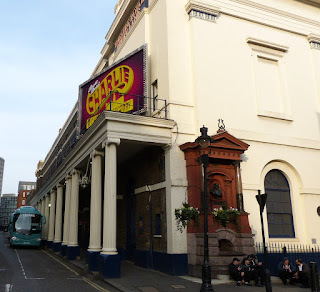 From 1747, the theatre was managed and part-owned by the actor David Garrick, and on his retirement in 1776, it passed into the joint ownership of Richard Brinsley Sheridan, Thomas Linley and Doctor James Ford. Sheridan pulled down the theatre in 1791 in order to build a larger one, during which time the company performed at the Haymarket Theatre. The third theatre was designed by Henry Holland. 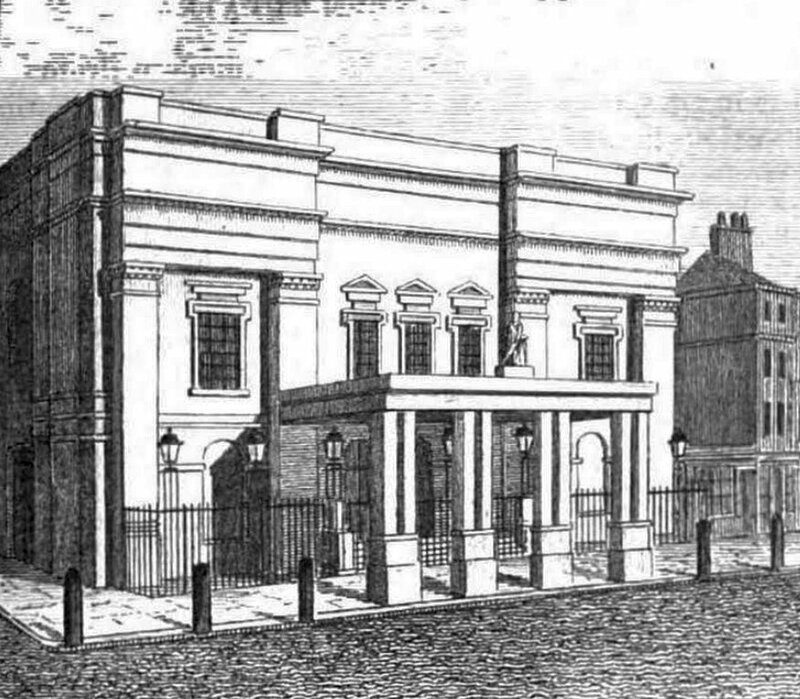 It opened for the first time on 12 March 1794 with ‘a grand selection of sacred music, from the works of Handel’1 rather than a play, because it was Lent. 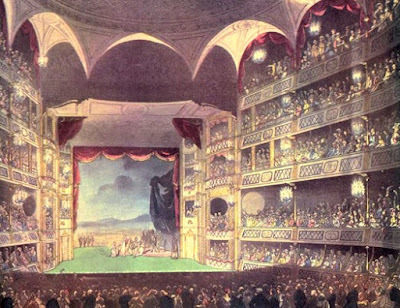 The accommodations for the stage are upon a much larger scale than those of any other theatre in Europe. The stage is 105 feet in length, 75 wide, and 45 feet between the stage-doors. In the roof of the theatre is contained, besides the barrel-loft, ample room for scene-painters, and four very large reservoirs, from which water is distributed over every part of the house, for the purpose of instantly extinguishing fire in any part where such accident is possible. The pit is 54 feet in length, 46 in breadth, has twenty-five rows of benches, and contains eight hundred persons. The benches are so well constructed, that those next the orchestra command an uninterrupted view of the whole stage, and the avenues to it are very commodious and safe. There are three entrances to the boxes, two to the pit and galleries. The one in Brydges-street leads to a saloon 75 feet by 21, called the Egyptian Hall. Sixteen pillars, of the Doric order, beautifully painted, in imitation of porphyry, are at once a splendid ornament, and support the back boxes, to which a flight of stairs at each end leads. The 1,960 people in the boxes included the free list, but excluded private boxes. 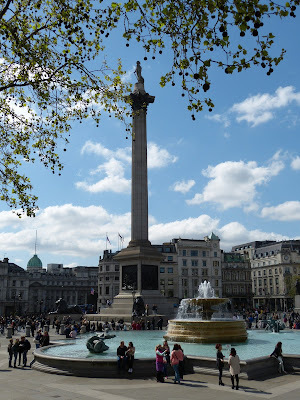 The Microcosm of London stated the capacities somewhat differently – 675 in the two-shilling gallery and 308 in the one-shilling gallery, with 3,611 spectators in total. The doors opened at 5.30 pm and the performances started promptly at 6.30 pm. Half-price tickets were available for entry after the third act of the play, usually around 8 o’clock. Boxes could be reserved by paying a shilling to the box office on the morning of the performance. Alas! The theatre never was completely finished. Despite its elaborate fire precautions, this theatre burnt down on 24 February 1809, less than 6 months after its rival at Covent Garden had suffered the same fate. The fire ruined Sheridan who had borrowed heavily to finance his new theatre. 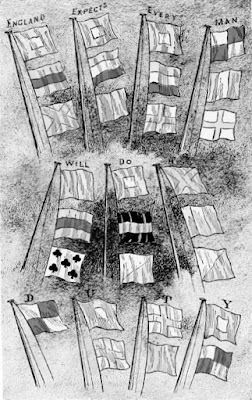 The ownership passed into the hands of a committee headed up by the brewer, Samuel Whitbread, who forbade Sheridan to take any part in the management going forward. Whilst the theatre was, yet again, being rebuilt, the Drury Lane Company performed at the Opera House and then at the Lyceum. 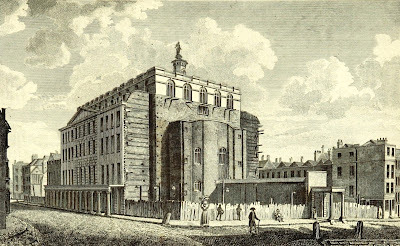 The fourth Drury Lane Theatre was designed by Benjamin Wyatt and opened on Saturday 10 October 1812 with a production of Hamlet and an address written by Lord Byron. The stage is about thirty-three feet wide, the proscenium nineteen and a half. The part usually appropriated to doors, is judiciously occupied by two magnificent lamps, with tripods on triangular pedestals. This theatre is altogether a master-piece of art, and an ornament of the metropolis. Its coup d’oeil is delightful beyond the power of description. The grand entrance to this theatre is from Brydges-street, through a spacious hall, leading to the boxes and pit. Three large doors lead from this hall into the house, and into a rotunda of great beauty and elegance. On each side of the rotunda are passages to the great stairs, which are peculiarly grand and spacious. The grand saloon is eighty-six feet long, circular at each extremity, and separated from the box-corridors by the rotunda and grand staircase. The ceiling is arched, and the general effect of two massy Corinthian columns of verd antique at each end, with ten corresponding pilasters on each side, is grand and pleasing. The rooms for coffee and refreshments at the ends of the saloon are convenient. In 1813, the season was advertised to run from September to June; in 1818, it was advertised to run until July. 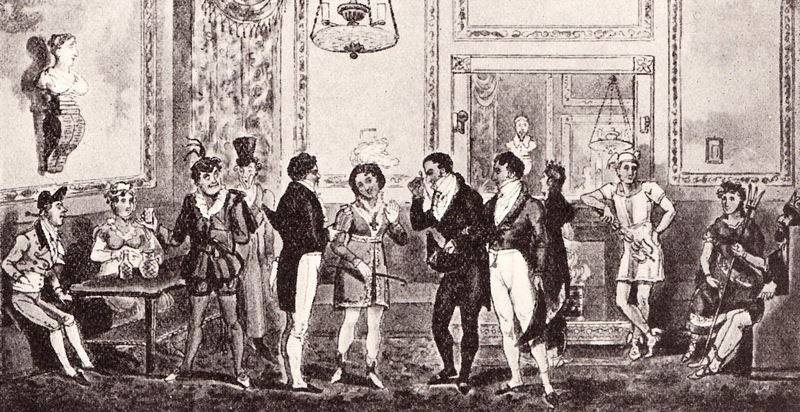 Around 1818, the performances moved from a start time of 6.30 pm to 7 pm in order to accommodate later dinner hours. 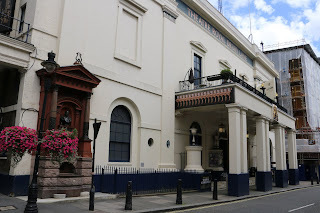 The Drury Lane Theatre today is still the 1812 building, though various alterations and renovations have been made over the years. The Doric portico in Catherine Street was added in 1820, and ‘the interior of the house … was entirely rebuilt in 1822.’16 The colonnade along the side of the building in Little Russell Street was added in 1831. In 2013, the theatre underwent major renovations and the front of house areas were returned, as far as possible, to their original 1812 design. The Theatre Royal Drury Lane continues to be a thriving part of the West End theatre scene. 1. From The Times, 12 March 1794, The Times Digital Archive. 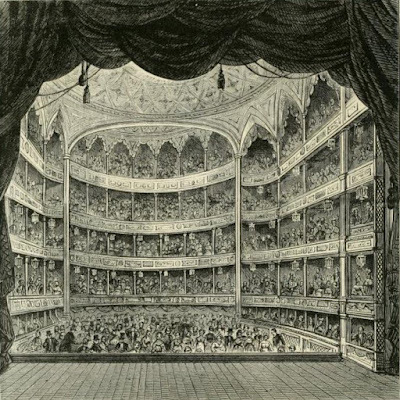 The Microcosm of London stated that the new theatre opened on 13 March 1793 but The Times Digital Archive advertised its opening on 12 March 1794. 2. From The Microcosm of London Volume I. 3. From The Microcosm of London Volume I. 4. 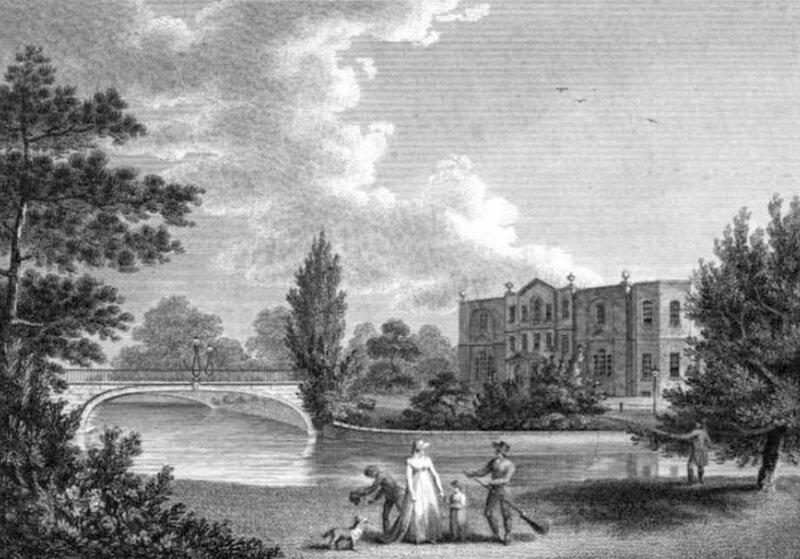 From The Picture of London for 1809. 5. From The Microcosm of London Volume I. 6. From The Microcosm of London Volume I. 7. From The Picture of London for 1809. 8. From The Microcosm of London Volume I. 9. From The Microcosm of London Volume I. 10. From The Microcosm of London Volume I. 11. From The Microcosm of London Volume I. 12. From The Microcosm of London Volume I. 13. From The Picture of London for 1813. 14. From The Picture of London for 1818. 15. 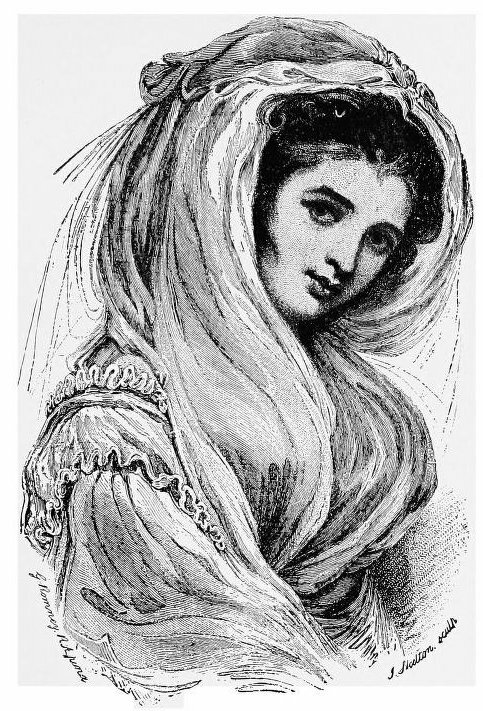 From The Picture of London for 1818. 16. From Leigh’s New Picture of London (1830). 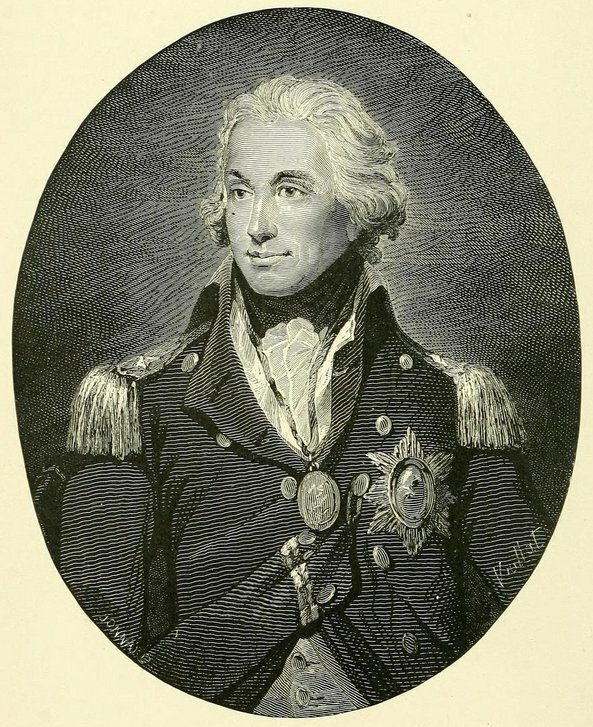 Vice Admiral Horatio Nelson (29 September 1758 – 21 October 1805) is probably the most well-known of all the heroes of late Georgian England. 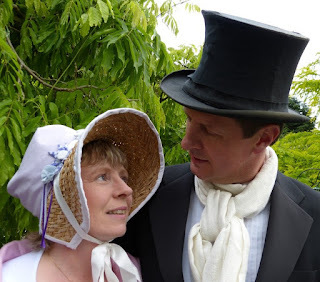 He can’t match Mr Darcy in popularity, but Nelson did have the benefit of being a real person! Born in 1758, the sixth of eleven children living in Norfolk, his father was a rector and his mother died when he was age nine. Three years later he decided to join the navy having read of his uncle taking command of a sixty-four gun warship. He joined his uncle’s ship, the Raisonnable, at Chatham in 1771, as a midshipman. Keen to give the boy more experience, his uncle arranged for him to serve on other ships, taking him to North America and to India. In 1777 the 18-year-old Nelson applied for, and was given, promotion to Lieutenant. For the next few years, Nelson spent much of his time in and around the Caribbean. Promoted again to Post-Captain, he was given his first command, HMS Badger, in late 1778. He took part in several military engagements, both at sea and on land. On 11 March 1787, on the Caribbean island of Nevis, he married 29-year-old Frances Nisbet, a widow with a young son. The bride was given away by Prince William (later William IV), at that time a junior officer in the navy and a friend of Nelson. 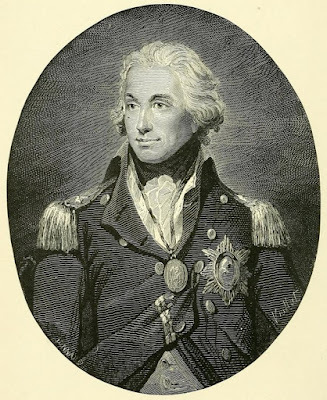 Later that year the couple returned to England and as the nation was enjoying a period of peace, Nelson’s services were no longer required by the navy. 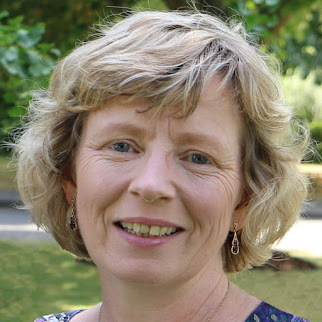 He was put on half-pay and spent the next few years badgering to be given a new command. Peace did not last long. Revolutionary France was threatening war and in January 1793 Nelson was given command of the sixty-four gun HMS Agamemnon. Within weeks, the French declared war and Nelson began a long period of service in the Mediterranean. In late 1793 he arrived in Naples, where he met Sir William Hamilton, the British ambassador to the Kingdom of Naples. He also met Hamilton’s attractive young wife, Emma. He was soon engaged in military action against the French, including an assault on the island of Corsica. It was during this, in 1794, that his right eye was permanently damaged by flying debris. In 1796 Nelson was promoted to Commodore, as he continued to conduct operations against the French and their allies. A year later he was made a Knight of the Bath for his contribution to the victory during the Battle of Cape St Vincent on 14 February 1797. This action won him recognition for his unorthodox tactics, and he became a hero in the eyes of the public. A week later he was promoted again, to Rear Admiral. Later that year, on 22-25 July 1797, Nelson led a failed attempt to capture Santa Cruz de Tenerife, in the Canary Islands. During the attack his right arm was injured and subsequently amputated. He returned to England to recuperate. Within a few months, Nelson’s reputation as a national hero was cemented by the dramatic defeat of the French at the Battle of the Nile, 1-3 August 1798. The French had just delivered Napoleon and his army to Egypt and they felt secure, having more guns than the British. Having spent months searching for the French, and despite discovering them late in the afternoon, Nelson ordered an immediate attack. 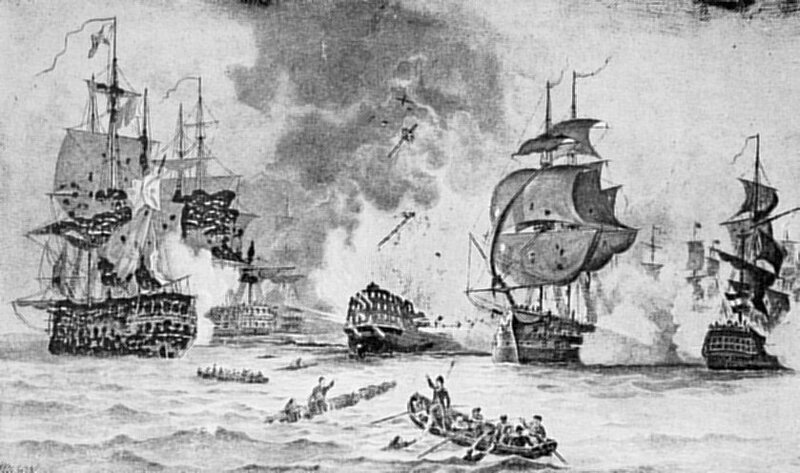 The result was a naval battle at night, which included the spectacular explosion of the French flagship Orient. 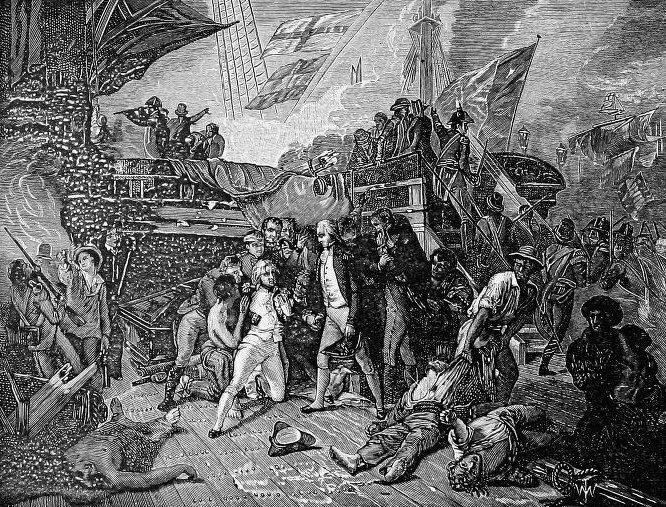 Nelson’s victory stranded Napoleon in Egypt and won him huge recognition in Britain, where the public celebrated enthusiastically once the news arrived. 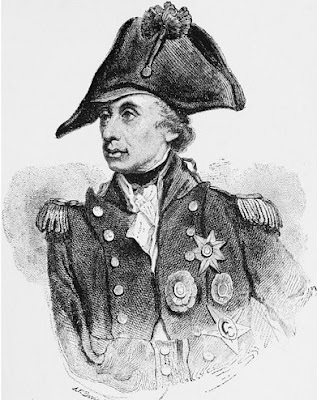 Nelson was made Baron Nelson of the Nile. His victory was also celebrated in the Kingdom of Naples, where he received a particularly enthusiastic reception from Emma Hamilton, wife of the British ambassador. Nelson and Emma became lovers. The Kingdom of Naples declared war on France, and his army got as far as capturing Rome before being driven back. By late 1798 the French were threatening Naples itself, and Nelson oversaw the evacuation of the Neapolitan royal family, along with William and Emma Hamilton. The following year saw the French driven from Naples, which Nelson had blockaded. 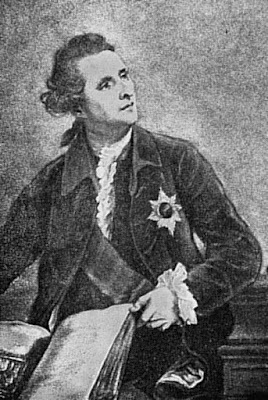 He then oversaw the imprisonment and execution of many supporters of the French. For his support of the Neapolitan monarchy, Nelson was given the Dukedom of Bronte. With both Nelson and Sir William Hamilton being recalled to England, they chose to travel home together, along with Emma, now pregnant by Nelson. The four-month journey was overland, via Florence, Prague and Hamburg. They arrived in Great Yarmouth on 6 November 1800. Nelson received a hero’s welcome, but there was more than a whiff of scandal around his relationship with Lady Hamilton. Meetings with his wife, Frances, were frosty and soon Nelson made it clear his commitment was to his lover. 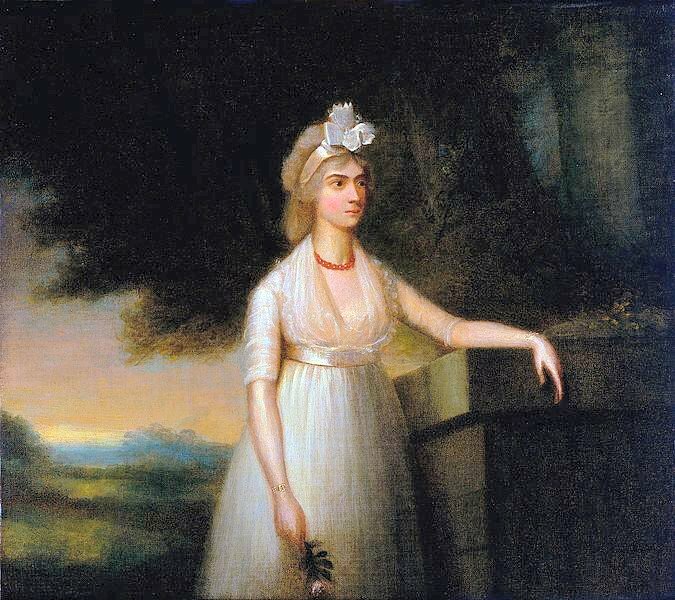 On 29 January 1801, Emma gave birth to Horatia, Nelson’s daughter. In the same month, he was promoted to Vice Admiral, and went on to lead an attack on Denmark. 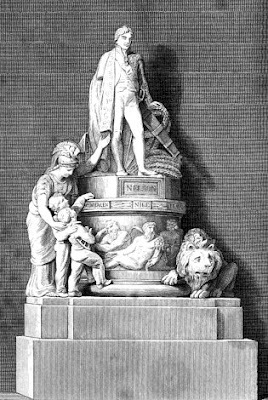 Victory at the Battle of Copenhagen on 2 April 1801 saw him made Viscount Nelson of the Nile and Commander-in-Chief of the Baltic fleet. In October 1801 Nelson and the Hamiltons toured central England and parts of Wales, where they were met by enthusiastic crowds and numerous accolades. Anxious to settle down with Emma, effectively as a married couple, Nelson bought Merton Place in 1802. But as war was again brewing, he was soon called to serve with the fleet. For much of 1803 and 1804 he took part in the naval blockade of Toulon. 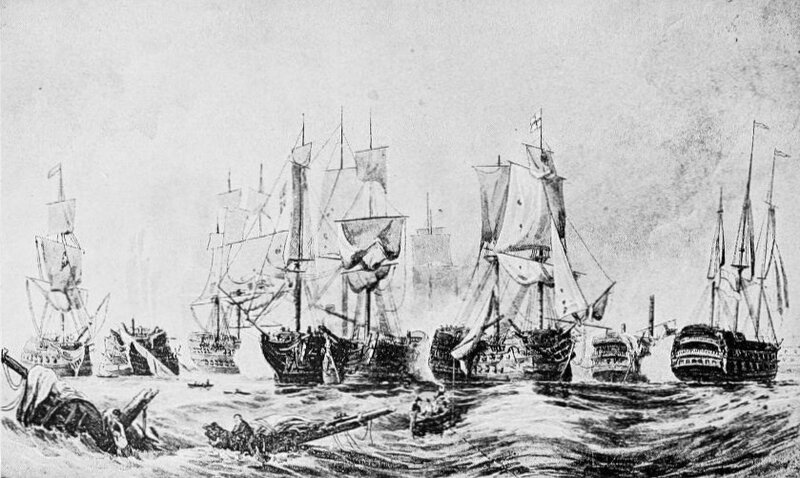 Early 1805 brought the news of a major French fleet setting sail into the Atlantic. Nelson was anxious to engage them in a major battle and spent months searching for them. 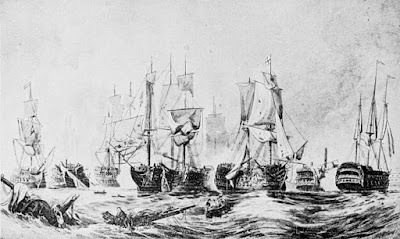 He returned to London in the summer, frustrated at not discovering them, but in September, news arrived of the French and Spanish fleets having combined, and being anchored at Cadiz. On 14 September 1805 Nelson left Portsmouth for the last time, aboard his flagship, HMS Victory. 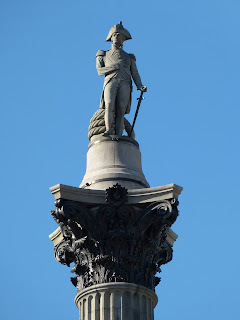 On 21 October Nelson raised his famous signal “England expects that every man will his duty” and engaged the enemy fleet at the Battle of Trafalgar, using novel tactics he had devised. 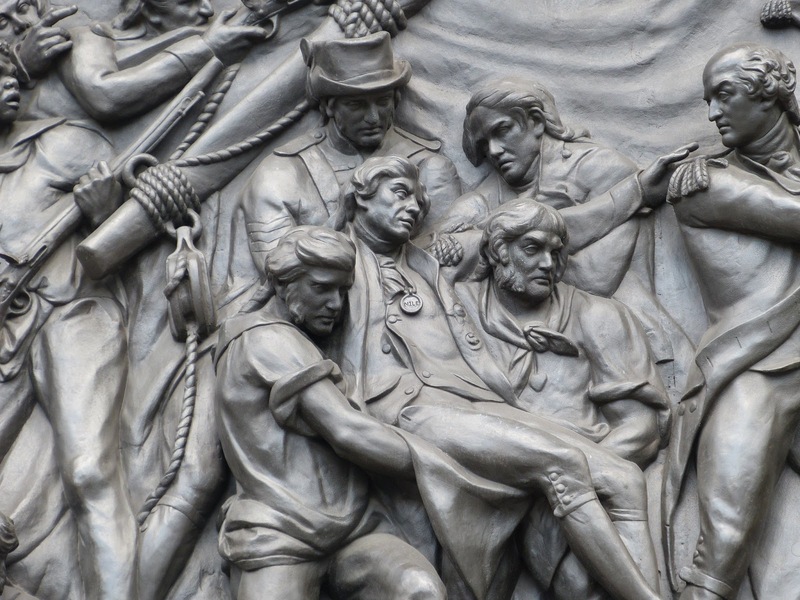 In the early afternoon, as he stood on the deck of the Victory, Nelson was struck by a musket ball. He was taken below deck and remained conscious for some time, giving instructions for the fleet and asking for his possessions to be given to Lady Hamilton. He died around three hours after being hit. The British fleet won a decisive victory at Trafalgar. Vice Admiral Lord Horatio Nelson was given a hero’s funeral and lies entombed in St Paul’s Cathedral, London. 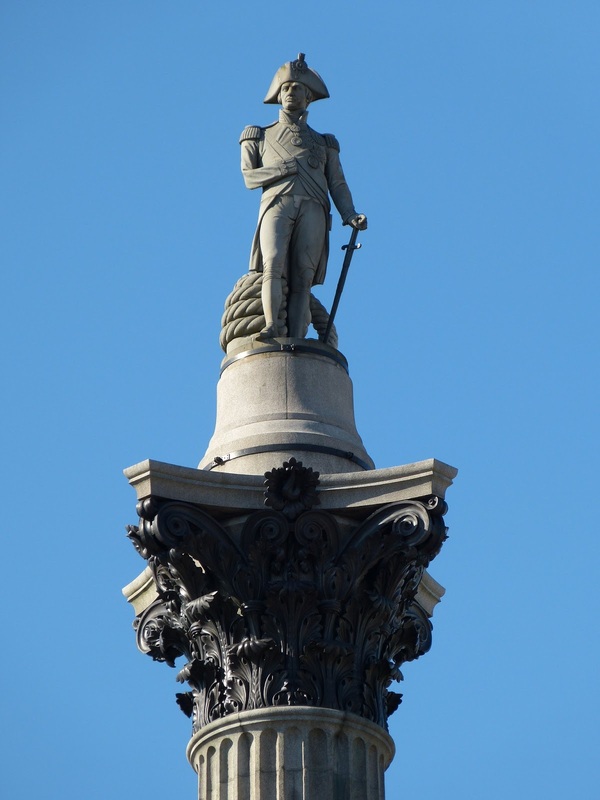 A number of monuments were erected to remember him, including the landmark Nelson’s Column in Trafalgar Square, London.